This concert does not only represent the first musical encounter between Simon Rattle and Daniel Barenboim, it was also the first time that Sir Simon Rattle conducted in his new post as chief conductor of the Berliner Philharmoniker. This all Brahms programme features the wonderful first piano concerto with the romantic Adagio which Brahms wrote in reverence for Clara Schumann, and Schoenberg�s successful arrangement of the first Piano Quartet for orchestra. 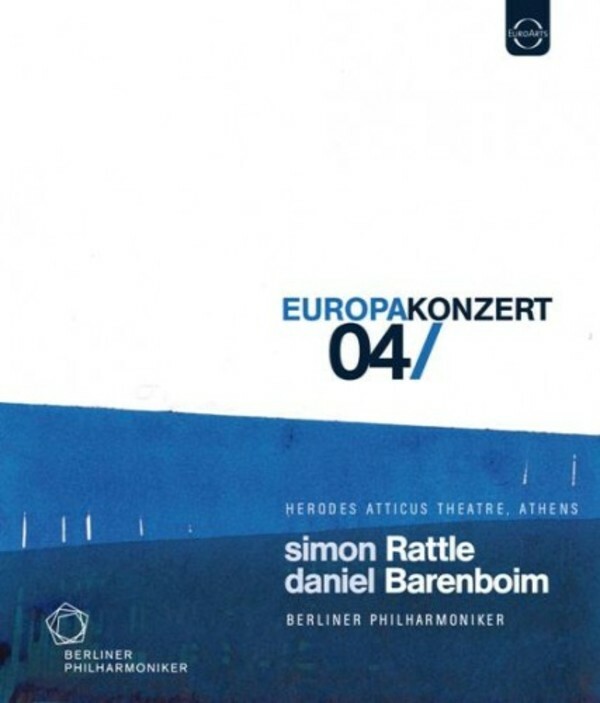 With overwhelming views of the nearby Acropolis and spectacular scenery, the state-of-the-art recording brings home a true European musical highlight.